I’m not sure if there’s anything more romantic than a long weekend in Paris. 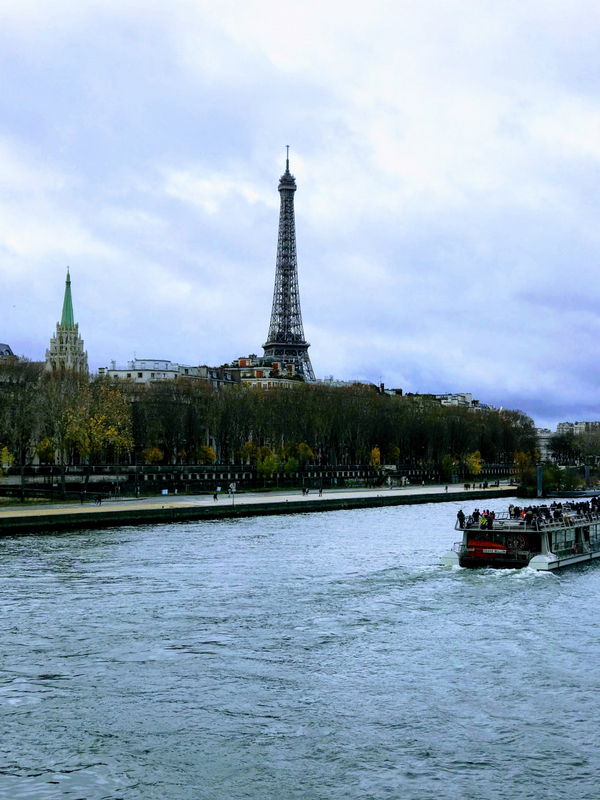 A brisk stroll along the Seine River, a stop at the Eiffel Tower and a picnic in the Jardin des Tuileries are the stuff that dreams are made of. But when we think of the City of Lights, we often have visions of croissants and artfully, painstakingly crafted French pastries that are nothing if not gluten-filled. I didn’t let the idea of gluten and wheat overload prohibit me from having a culinary-fueled 48 hours in one of the most beautiful cities in all the world. Instead, with a bit of careful planning, I charted a course for me and my husband to eat, drink and enjoy gluten-free delights in a city that becomes more progressive about food sensitivities every day. From a range of dedicated gluten-free patisseries recently opening to seasoned hotel chains ready to cater to those with gluten intolerance, what once may have seemed like an impossible feat is now quite achievable. We planned our entire three-day weekend around our hotel. While sometimes Airbnb is the way to go, we were looking for luxury, romance and a place that would offer spa options and cater to our every whim. (After all, isn’t that why one goes to Paris?) For those reasons, we chose the Sofitel Paris Le Faubourg in the 8th Arrondissement, only steps from the Champs-Élysées. As part of my pre-trip planning, I reached out to the hotel to let them know I was gluten free, and they assured me there were many options on all of their menus to accommodate me. While I was at it, I booked a couples’ massage for the day we landed to help us refuel without taking a nap. We arrived, checked in and had lunch at the hotel’s Blossom restaurant, where I had a deconstructed chicken club served with gluten-free bread, chicken salad, sliced tomatoes, hardboiled egg, crispy bacon and a side of fresh greens and coleslaw, paired with a lovely, light glass of French Chablis. With satiated palettes, we went for our indulgent massages in the hotel’s wellness center, where I also took full advantage of their sauna and steam room. Feeling rejuvenated and refreshed, we went to the ever-popular Buddha Bar for cocktails and dinner. 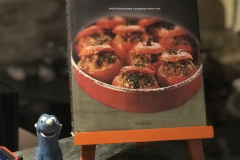 To my absolute delight, I found that the restaurant lists all of their gluten-free options on the menu and offers plenty of things to choose from, like delicious pork dumplings, tuna with avocado, salmon dishes, sashimi and more. The next morning, we made a quick stop at our hotel buffet breakfast that had a lovely gluten-free display filled with baked goods, breads, crackers and exquisite madeleines, as well as a host of naturally gluten-free items, like hard-boiled eggs, green juices and bacon. We figured we needed the fuel, as our second day was all about touring the city on foot. Paris is similar to New York City in the sense that it is perfectly made for walking. 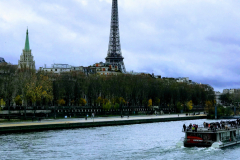 Long strolls are a requirement here, specifically alongside the iconic Seine River. We took in the sights of the busy streets with shoppers and sightseers as we headed in the direction of the Eiffel Tower. Our first food stop was at my favorite macaron maker, Ladurée, on the Champs-Elysées. While I have eaten there before (enjoying a very light chicken salad dressed with a flavorful vinaigrette), we decided to stick to the basics and get an assortment of our favorite macarons that we would save to enjoy in one of Paris’ many beautiful parks. After a few stops to check the map, we arrived at our lunchtime destination, Café Constant. This typical French bistro was a perfect respite from all the walking we had already done, and the quiet atmosphere helped us regain our strength as we plotted out the rest of the day. This restaurant was not specifically gluten free, so I stuck with the French basics: escargot, a duck and liver pâté with cornichons and a roasted duck with potatoes paired, once again, with a bright Chablis. We walked off lunch underneath the Eiffel Tower, stopping for an obligatory photo shoot, before heading back to the hotel to change our clothes. We wound up meeting a good wine and travel friend of ours at a local bistro before our dinner. 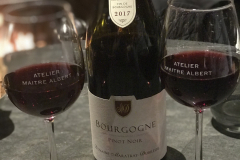 We sipped on a carafe of wine, catching up on our lives and chatting about local Parisian politics, swapping stories about the state of the union in the United States at the moment. Our conversation moved from politics to wine, where we were brought up to speed on our friend’s winery that she owns in Lebanon. 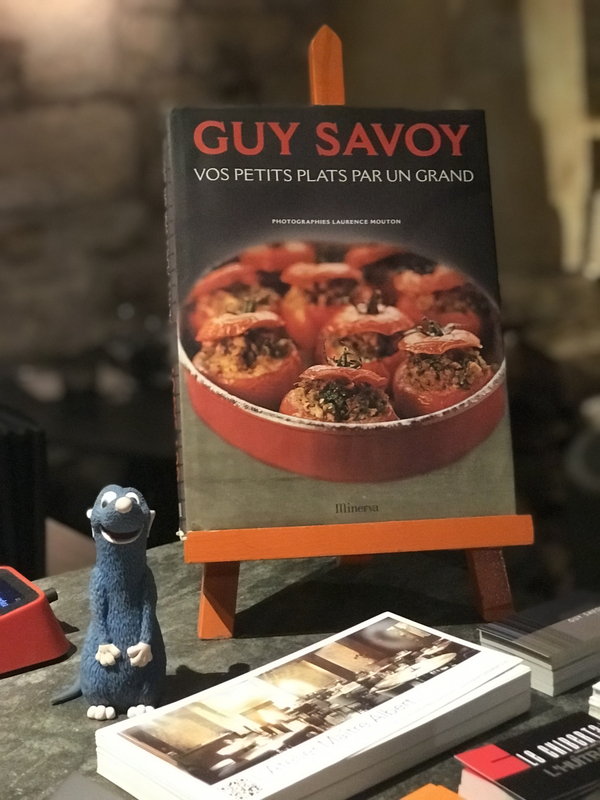 After a heartwarming reunion against a quintessential Parisian backdrop, we said au revoir to our friend and headed off to one of Guy Savoy’s famed restaurants, L’Atelier Maître Albert. We choose this one specifically due to its simplistic cuisine. This rotisserie, located in the heart of old Paris, makes the most amazingly flavorful roast chicken, veal, duck and several others. Having spent the better part of the day eating and drinking, we longed for the warm, rustic, simple meal that we found here. We dined on a spit-roasted veal T-bone as well as the free-range chicken. Sides of our choice accompanied the meals, so we decided on some greens and potatoes. The mixed green salad came with tender chicken livers, and the potatoes au gratin were decadently cheesy and delicious. 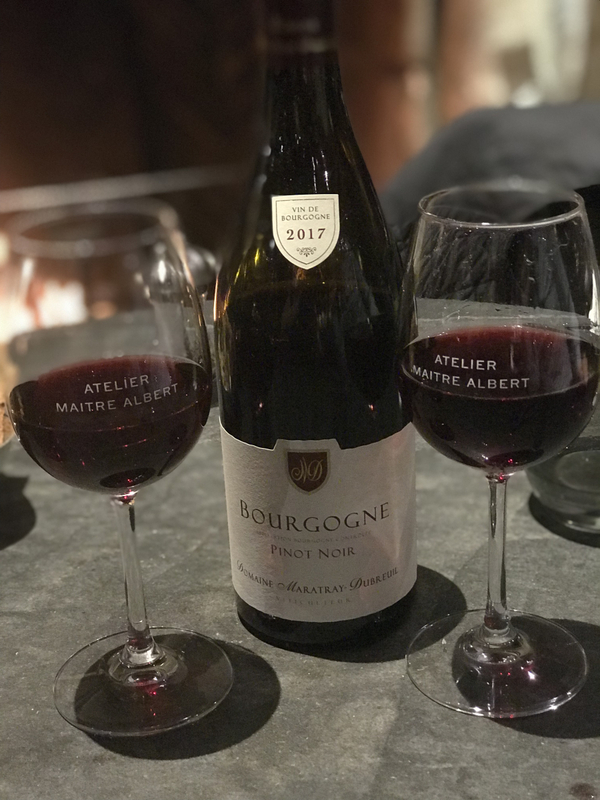 We paired our meal with a French Bourgogne Pinot Noir and politely declined dessert when the time came. After a quick breakfast, we did some shopping at Chanel, where my husband spoiled me for our three-month wedding anniversary. While it’s hard to miss a Chanel storefront in New York City, where we live, we wanted to purchase a bag from the source and make sure the item we bought could only be purchased in Paris. The whirlwind, over-the-top shopping experience had me embodying the Parisian spirit, and then, suddenly, I found myself hungry once again. For our final lunch before heading to the airport, we stayed close to the hotel and checked out local hotspot Bistrot Francois Felix, filled with people who worked at the American embassy located directly behind the Sofitel. The place was packed for the lunch rush, so I decided to keep my order simple: a plate of steak cooked medium, green salad and house red wine. In a perfect world where we stayed a few more days, I would’ve stopped by Little nonna for a gluten-free pizza to satisfy my Italian food cravings while in Paris and BigLove for gluten-free brunch, pizza and other gluten-free Italian dishes. But, then again, we had to save something for next time. Helmut Newcake: Stop by for a light lunchtime baguette or a simple pastry run. Boulangerie Chambelland Paris: This spot goes as far as to make all its pastries using rice and buckwheat flour produced from its very own mills. Noglu 69: This beautifully decorated spot offers quiche, pastries and lunchtime treats. You can also find it on the Upper East Side of Manhattan. Bears & Raccoons: Enjoy handmade gluten-free sandwiches at your service at this quaint spot that also boasts a killer Instagram account.